Cape Coral Gated Communities are wonderful places to live if you like the idea of living where you feel like you're always on vacation! If you are searching houses in Cape Coral, you should definitely check out some gated communities because they often come with the added security of gates and walls, and lots of great amenities. Many of them have pools, a clubhouse with activities, work-out rooms, or even tennis courts, parks, playgrounds, and walking paths for both an active and leisurely lifestyle. Common areas are maintained and kept looking beautiful with lush plantings of flowers, bushes and trees. This way all the properties in the community look good for the enjoyment of everyone. You usually have the option to buy condos to villas to single family homes in different sizes. This allows for a more mixed neighborhood and promotes a community spirit. Having the clubhouse with activities for adults, children, and families also brings the different streets together for fun, learning, and maybe even to network for business. All this closeness may not work for some people, and even the houses are often closer to each other than in the rest of the city. As anywhere else, Cape Coral Gated Communities have restrictions to make sure houses and yards stay maintained, neighbors aren't bothered, and everything runs smoothly. Like wide open spaces and a huge yard, no neighbors. Like to have a lot of noisy parties and get-togethers. Like to leave your garage door open all the time. Want more options for house colors. Want to have more freedom to cut the grass whenever you want. Want to park a pick-up truck, boat, or large vehicle outside. Generally don't want rules and regulations. Don't want to pay Home Owners Association dues. Be aware when buying in communities that are still being built that when builders take ownership of communities from developers, and homeowners take ownership from builders or developers, HOA dues usually rise a lot more than a typical yearly rise in price. In my experience, HOA dues went up or down $1-3/month from year to year. When our builder took ownership from our developer, they went up $35/month. When we homeowners take over from the developer, they'll go up another $25/month. Some communities will charge special assessments to cover costs not foreseen in yearly budgets. These can run $600-$800+, this not only an unpleasant surprise, but unaffordable for some. Gated communities are very appealing despite their disadvantages, they did not feel the affects of the economy the way the rest of the real estate market did, houses continued to sell very well. We feel safer here because of the gates and the neighborhood watch groups. The grounds and landscaping is beautiful and well kept, with shrubs, trees, and flowers, attractive homes, neighborhoods, and parks .... it just has such a nice feel to it. I have a lovely view of the lake from where I sit and work. Events at the clubhouse, meeting up with friends and walking up the boulevard, going to block parties. Trick or treating is a blast in our community! Relaxing at the resort pool with music playing in the background, or chatting with neighbors in the hot tub at the condo pool. In the villas, your HOA dues pay for yard care, and in the condos, your dues pay for yard care and outside maintenance of your home ....... I love it, no painting, no weeding, no worrying about the roof or sprinklers! 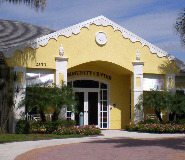 If you wondering where we live, it is in Sandoval, one of the nicest Cape Coral gated communities. 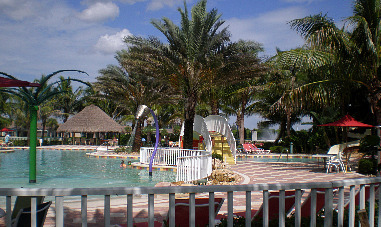 If you are relocating, or looking for vacation homes Cape Coral offers resort-style living in these communities and you should definitely check them out. My realtor would be happy to show you around. We absolutely love living here and there's no place like it ..... come and see for yourself! This community has high-rise and low-rise condos on the marina, coach homes, and waterfront family estates. It is located in SW Cape Coral at the southern end of Chiquita Blvd, and is part of the Cape Harbour complex, which includes pools, shopping, several terrific restaurants, entertainment, and boating. Tarpon Point has high-rise condos, coach homes and family estates at a fantastic waterfront location in SW Cape Coral off of Silver King Blvd. Amenities include access to shopping and dining at Marina Village Resort, pools and clubhouses, tennis courts, amphitheater, and boating at Tarpon Point Marina. Cape Royal is Cape Coral's only gated golf community, and it's a beauty! Single-family homes on larger lots back up to Royal Tee championship golf course in SW Cape Coral. You can live the golfing lifestyle surrounded by lakes, gorgeous landscaping, and golf course greens. Emerald Cove is a community of 101 single-family homes on gorgeous tree-lined streets with many of them backing onto Lake Weatherby. They have their own beach ............... plus pool, playground, fishing pier, party gazebo with grills and lovely neighborhoods in the SW Cape on Trafalgar Pkwy between Santa Barbara and Skyline Blvds. Looking for a great community to raise a family? 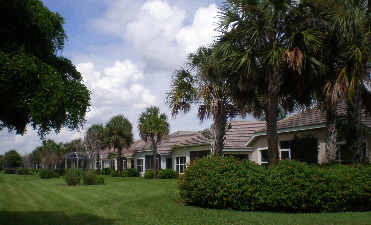 Look no further than Heatherwood Lakes in SW Cape Coral! Lovely 1 and 2 story homes with 4 or 5 bedrooms are surrounded by 5 lakes. You will also find kid-friendly neighborhoods and pool, playground, and clubhouse. Unique, upscale homes are featured on larger lots with mature plantings, and lots of shade trees. Houses are larger too, with 3-6 bedrooms and custom-made extras for a one-of-a-kind home. 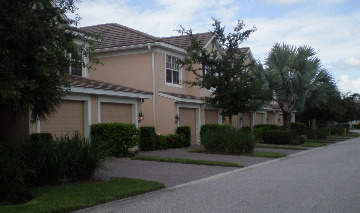 Enjoy the tennis courts, playground, gazebo, and 2 lakes, all located in SW Cape Coral. Last on my list of recommended Cape Coral gated communities is Banyan Trace, which has condos in 7 low-rises with amenities such as pool, fitness center, tennis courts, BBQ grills, bocce ball courts, and hot tub. It's located near Cape Coral Pkwy and Yacht Club Beach in SE Cape Coral, off of Palm Tree Blvd and is surrounded by the naturalized golf course of the old Cape Coral Golf Club. Remember, you get more bang for your buck in Cape Coral compared to many places in the US. This area of Florida has affordable homes, but with value and there's nothing like our great location, so you may very well be able to buy a lovely home in one of these Cape Coral gated communities!